I've been working hard the past few months to wrap up a bunch of new features for the WildLog. 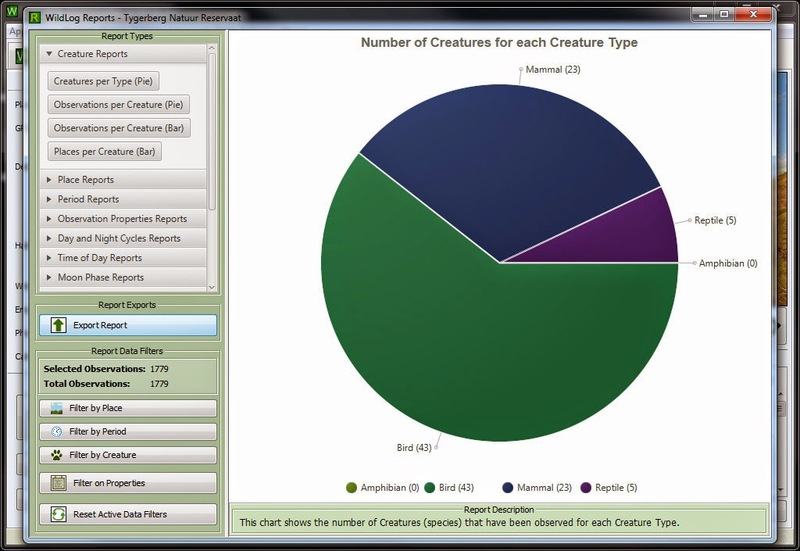 WildLog is the wildlife sighting database I've developed for my own nature based collections and camera trapping. The new version (WildLog v4.2) comes with lots of small improvements, and a couple of major new features. 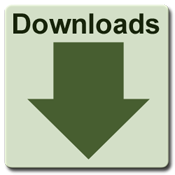 Have a look at the updated user guide to get an overview of the latest functionality. One of the big new features is the new Observations tab. 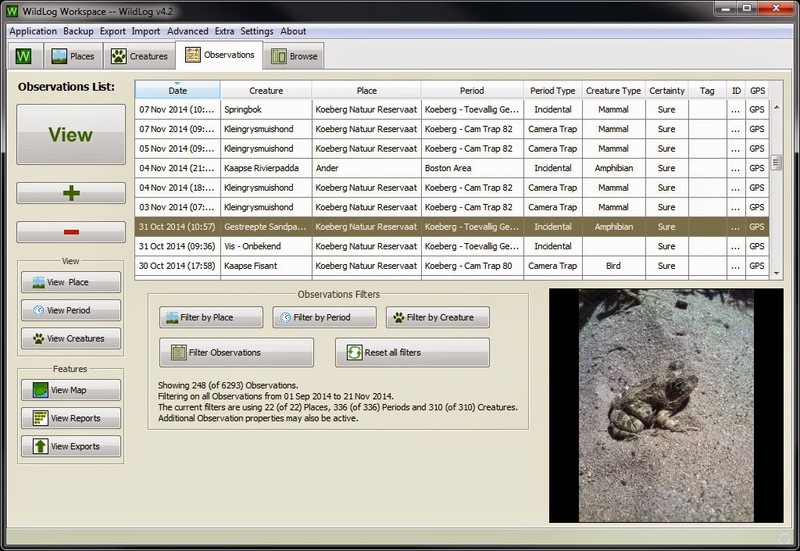 This tab will allow you to work with Observations directly and will show the most recent Observations by default. You can add, delete, map, etc. the Observations from this screen. 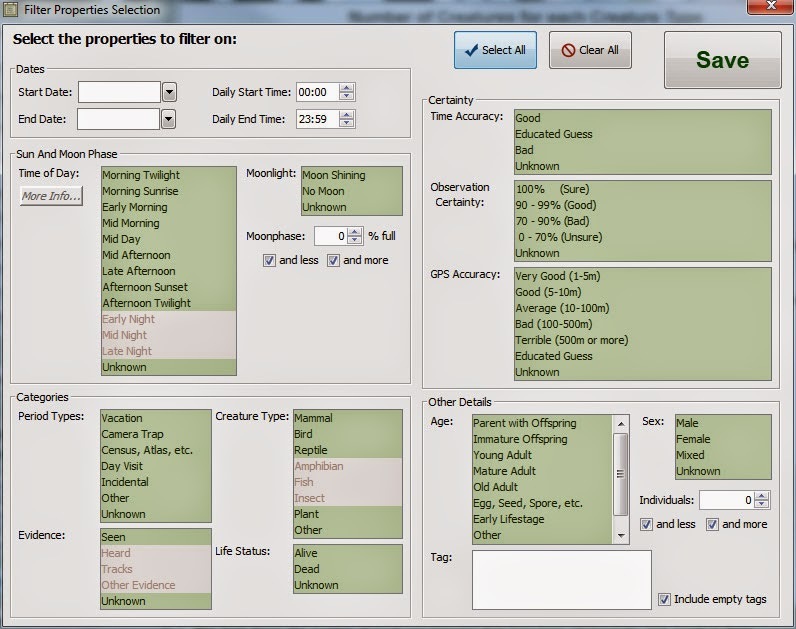 You can use filters to determine what Observations to list. One of the biggest additions to this version of WildLog is the inclusion of an entirely new reporting section. There are now many more reports available and they look a lot better than before. 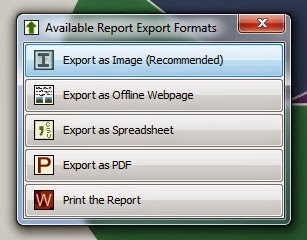 It is now much easier to export the reports. There are many more features and improvements too look out for. When a system gets this big, with such a rich feature set it becomes very difficult for one person (I work on this alone, in my spare time) to develop and test all new and existing features extensively. I try to release as stable version as possible, but I might have missed something. I use this same stable version for my own real world data, so if you run into any problems please let me know and I'll release a fixed version as soon as possible. Thanks for using WildLog, and as always please help me make WildLog better. You can contact me anytime with suggestions, bugs, or just to say what you enjoy about the program. I am looking forward to using the new version. Thanks for the PDF reports.